Back in the day, Submarine Channel cherry picked and published the most original web shows developed by other production houses. 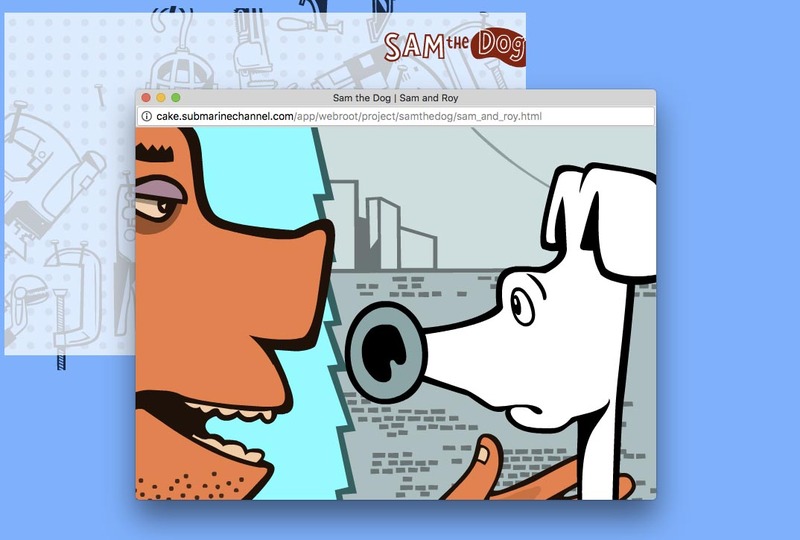 Such a project is the Flash-animation series Sam the Dog. Sam the Dog is the main character in an animation series built around the animated cartoon characters by D.B. Dowd. The main character is an intrepid terrier with a nose for distinctive humor. Sam and his colorful mates depict the “good, evil and off-center” of modern society.